(81): The imported project "C:\Windows\Microsoft.NET\Framework64\v3.5\Microsoft.CompactFramework.CSharp.targets" was not found. Confirm that the path in the declaration is correct, and that the file exists on disk. It is pretty clear as to what the issue is, so how do you fix this? Well you can install Visual Studio 2008 (Device development is not supported on VS 2010) on your build server - not nice, but then this won't fix my issue here. Notice the path above. The smart device project is looking in the 64-bit location for the Compact Framework build targets files: C:\Windows\Microsoft.NET\Framework64. As my build server is running on Windows Server 2008 R2 - which only comes in 64-bit edition, it makes sense to use 64-bit tools. The easy fix for this type of configuration is to install the .NET Compact Framework 3.5 Redistributable which can be found here: http://www.microsoft.com/downloads/details.aspx?FamilyID=e3821449-3c6b-42f1-9fd9-0041345b3385&displaylang=en. 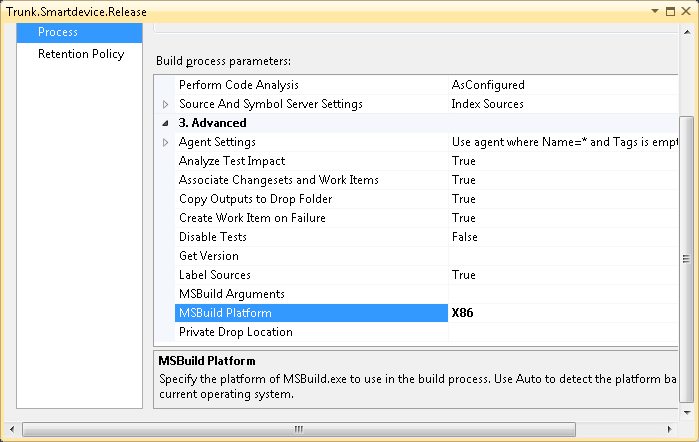 Install that package on the build server which will allow your code to compile. 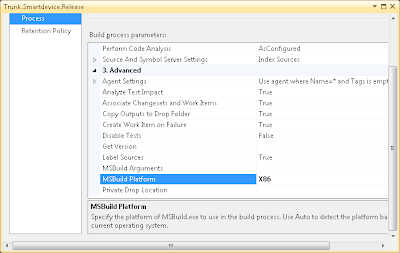 Then download the .NET CF 3.5 Power Toys - this will give your the Compact Framework build targets that MSBuild needs. This can be downloaded from here: http://www.microsoft.com/downloads/details.aspx?FamilyID=c8174c14-a27d-4148-bf01-86c2e0953eab&displaylang=en. Again that package needs to be installed on the build server. You may think it is odd that the build targets are included in this package, then so did I. They are also included with VS2008 but installing the Power Toys is a much better solution as it's a lot smaller install. Once you make that change, queue a new build and your build should succeed. As for getting VS 2008 talking to TFS2010, I'll write a post on getting that to work. There is a lot of content on this in the community but a lot of it didn't work for me.